Ghana's batsman chiseled out two half-centuries, including a calm 57 against Nigeria, to notch 143 runs in all. 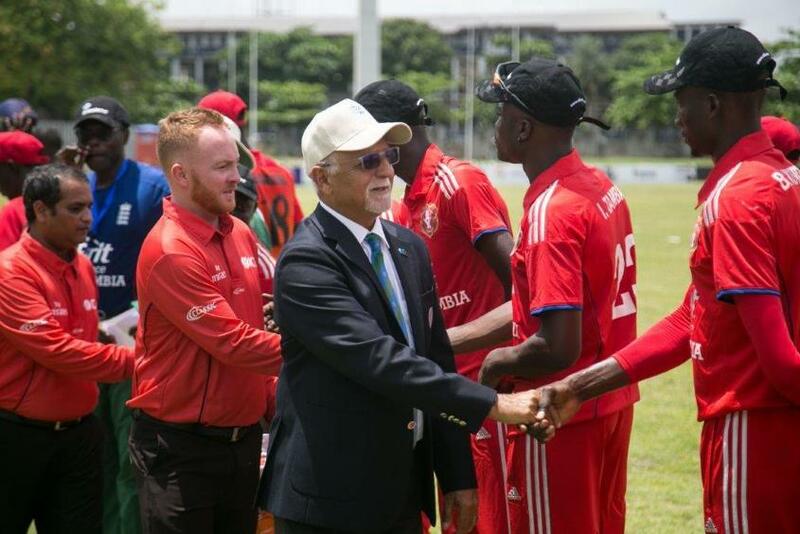 At the end of the ICC World Twenty20 Africa Qualifier A tournament in Lagos, Ghana and Nigeria qualified to the Africa Finals to get to the 2020 blue-ribbon tournament in Australia. The regional tournament, hosted at the Tafawa Balewa Square Cricket Oval, saw some fine individual performances over the course of the week, and several players stood head and shoulders above the rest when the going got really tough. Upon reflection, the Player of the Tournament was handed to Ghana’s Simon Ateak, thanks in main to his decisive contributions to the tournament winners. Ateak, showing his experience and composure, chiseled out two half-centuries, including a calm 57 against Nigeria, to notch 143 runs in all. His strike rate of 102,06 may not have been the tournament highest, but Ateak’s value to his side was evidenced by the fact that all his runs came in winning causes. With the ball, the Bowler of the Tournament award went to Mohameed Taiwo of Nigeria, whose 9 wickets cost him a combined 76 runs over the course of six matches. He got those wickets at an economy of 4.18, as well as a strike rate of a wicket every 12. 1 deliveries. On the field, there was an exhibition of fine groundwork and catching, but no one stood out more than Abubakarr Kamara of Sierra Leone, who collected five catches in the outfield over six matches, to claim the Fielder of the Tournament gong. In the batting ranks, no one scored more runs than Nigerian skipper Chimezie Onwuzulike. He spread 234 runs across six innings, with a memorable best of 90 not out. To add more gloss to his impressive numbers, Onwuzulike also scored at a healthy strike rate of 132.20, and an average of 46.80. The top-order man also struck a tournament-high of 17 fours and 13 sixes in his six visits to the crease. Finally, there was also a special moment for one of the officials during the course of the tournament, as umpire Ravi Angara stood in his 100th AM International. 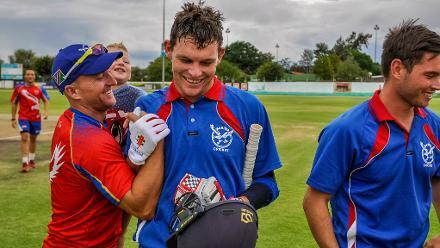 In a peculiar twist of circumstance, Angara’s milestone match was reached alongside Andrew Louw Jr, having started his umpiring career by standing with Wynand Andrew Louw, Andrew’s father, in his first AM international. Ghana and Nigeria will now move onto the next stage of qualification, as the seventh edition of the World T20 looms ever larger on the cricketing horizon.